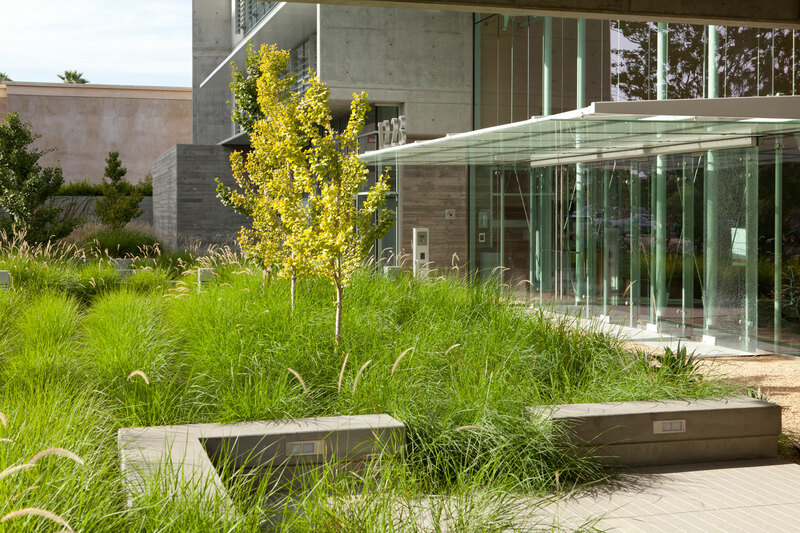 The landscape at the 16th Street MOB blurs the boundaries between indoor and outdoor spaces, offering soothing and therapeutic landscapes within patient recovery areas via sustainable, low cost and low maintenance materials. 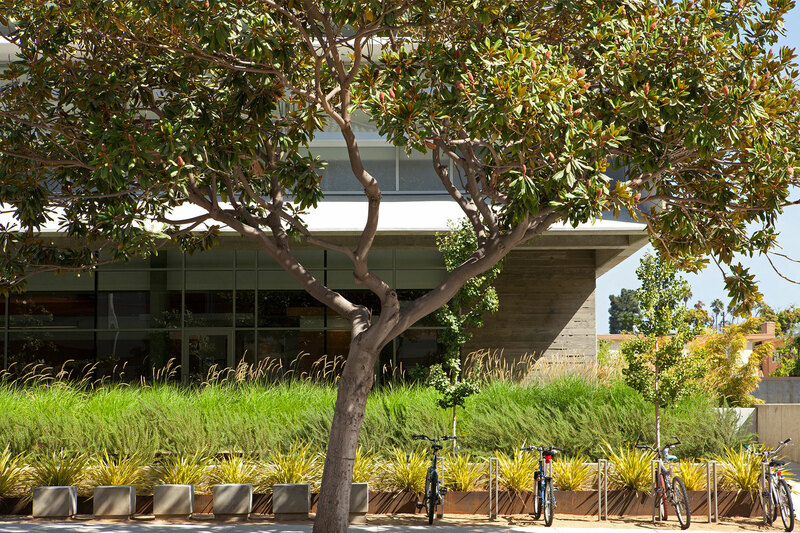 As the first LEED Gold Certified outpatient surgery and oncology center in the nation, the design focused on durable, low water use materials that thrive in Santa Monica’s Mediterranean climate. 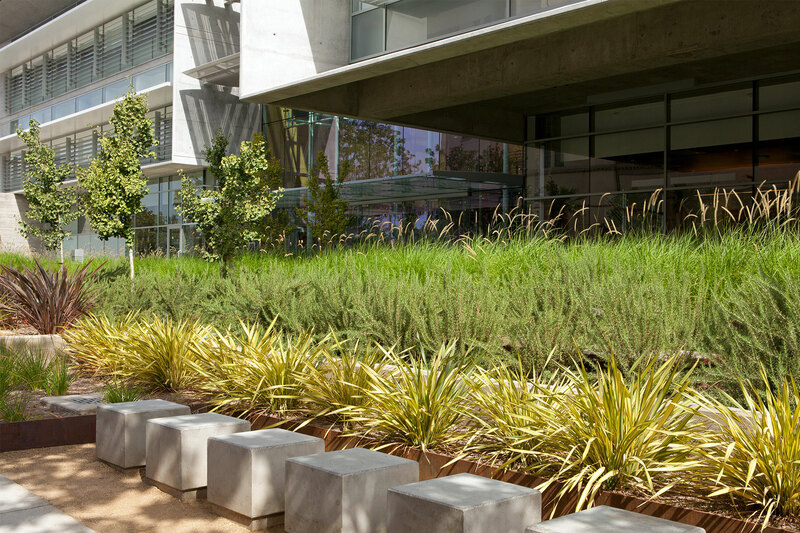 Inert groundcover of locally quarried stone and an efficient, low water use irrigation system support elements that engage the public realm and weave public and medical environments together. 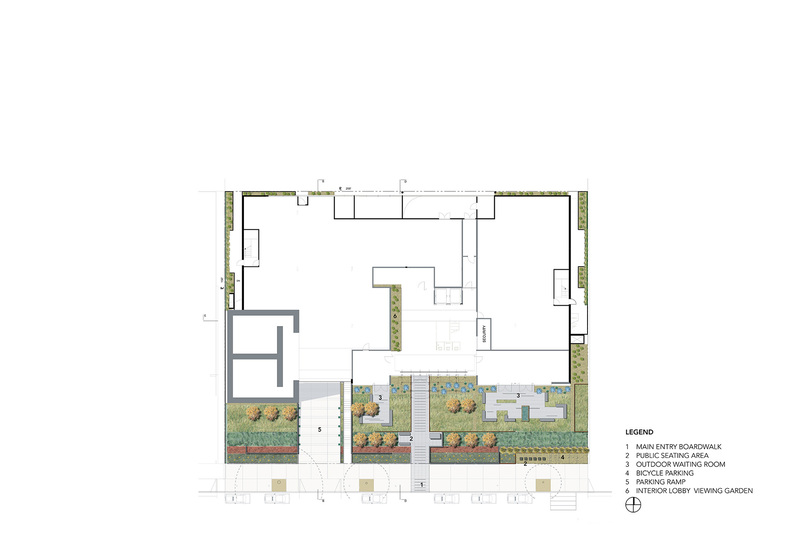 Within the patient recovery areas, landscaped zones are designed to create a restorative environment. 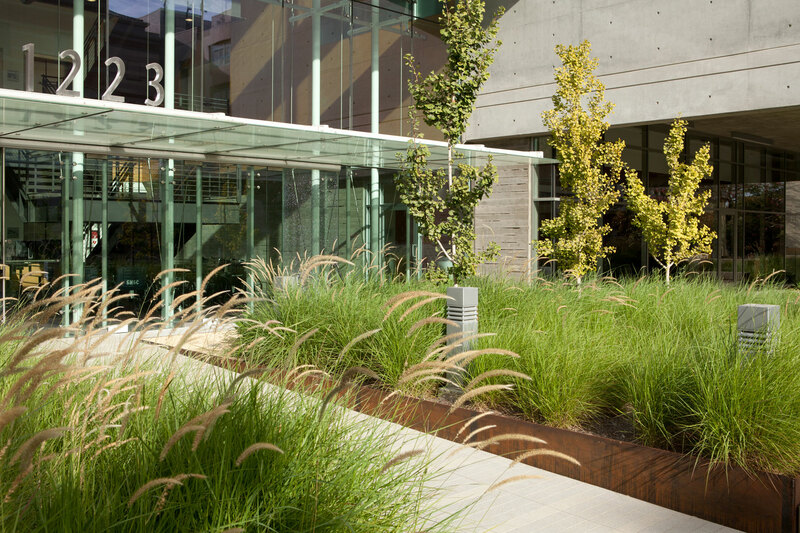 These ‘landscape pods’ are planted with colorful, whimsical plant materials that thrive in the bright sunlight from skylights. 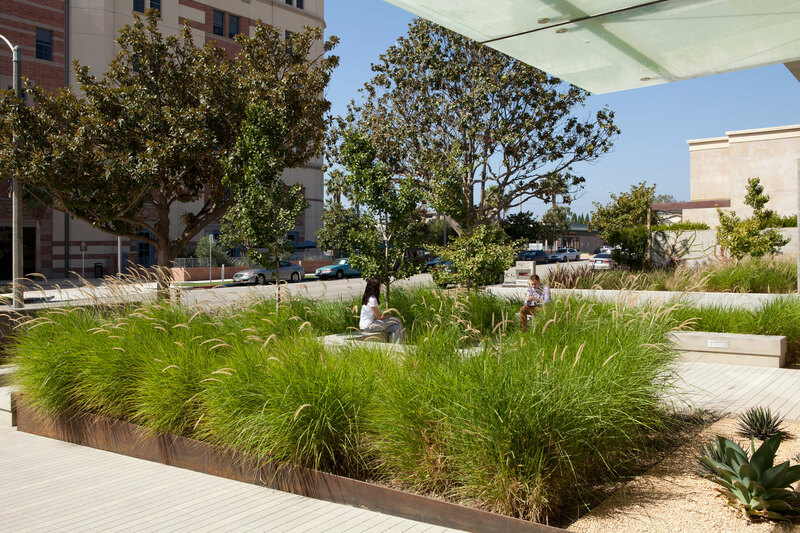 A garden roof terrace seen from the employee areas within the building is planted with ornamental grasses that move gently with ocean breezes.